Vulnerability is a tough thing. It means letting down barriers, opening your heart, and showing people who you really are. It is so easy nowadays to hide behind an electronic device. 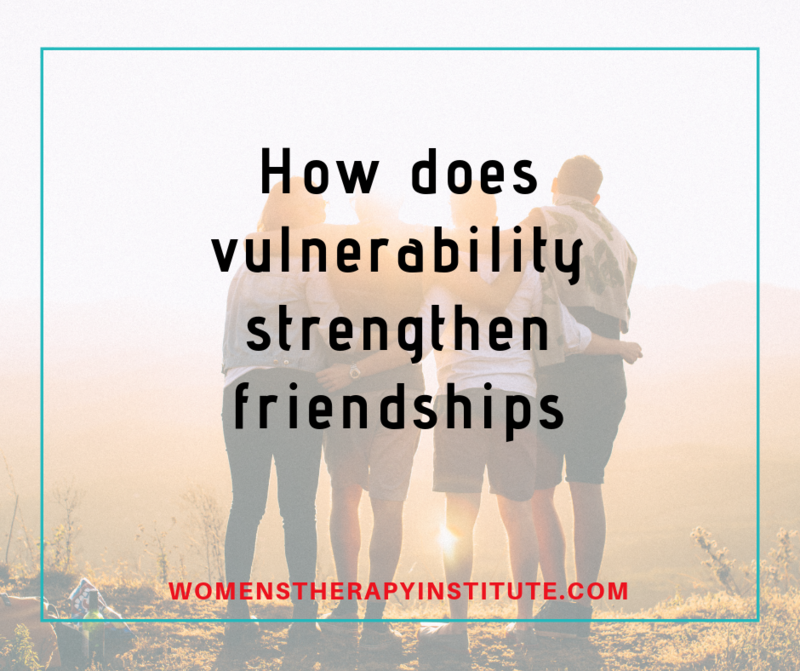 When we don’t show our vulnerability our friendships don’t go as deep. They are more surface-based friendships. When you allow people to see you when you are up and when you are down and you open up to them honestly about what is going on in your life, what you think about, your concerns, your fears then you begin to create a bond. Being vulnerable strengthens relationships. It is not fake or superficial. It is open, honest, and raw. When you start to let down barriers, then those around you also feel comfortable to knock down their walls. Deep down inside we all want someone to share our ups and downs with. We all want someone that we can “tell anything” too. This means being vulnerable. And, it can be scary. When you are vulnerable it is easier for you to get hurt. When you show your true self it is much easier to feel the pain or the hurt if someone doesn’t agree with your life choices. But allowing yourself to form real bonds with those around you will also allow you to feel supported, loved, respected in your life. It will allow you to form trusting, deep relationships with those around you. You can create your tribe but you first have to stop hiding. It is easy to hold back and keep others at a distance because of fear of being judged but that makes it hard to form real relationships with others. You need to get intimate with those around you, share those deep dark fears, regrets, and insecurities with the people in your life who can lift you up. These bonds will contribute to your overall happiness. They can last a lifetime if you let them. There is a difference between being nice and being genuinely kind. Being nice is on the surface. It is superficial, pleasing, and agreeable. It is making people happy around you but not necessarily meaning it. It is not authentic, not deep, and not always true. Rather than “being nice” as you have been told since you were a child, practice kindness. Being kind goes deeper. It is the practice of being compassionate and authentic. 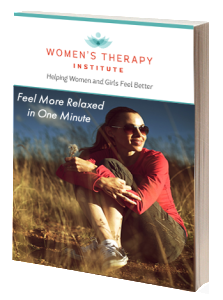 It is establishing healthy boundaries and truly meaning what you say, what you do. 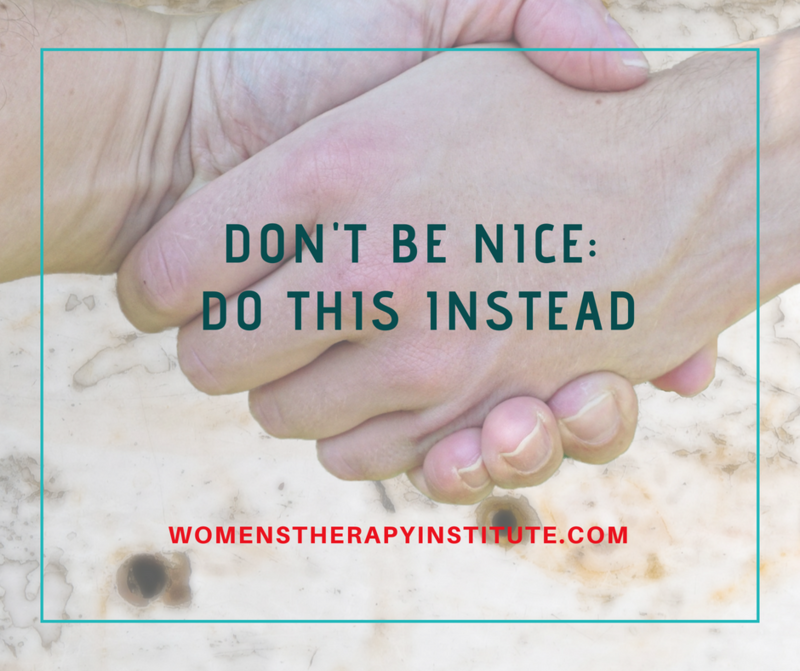 When we reach the point of just “being nice” we are damaging our relationships and creating unhealthy situations for ourselves. Running errands for a neighbor “just to be nice” or volunteering at an event “just to be nice” establishes unhealthy boundaries. When we, instead, do things out of deep-seeded kindness from within, it means we genuinely care about what we are doing. We have a vested interest in how things turn out and the people around us can see that. It means we aren’t just doing things because we feel like we have to, we are doing them because we really truly want to do them. We really want to bring the neighbor dinner, we really want to help with the shopping for the school event, we want to help a friend out with a project, or hold the door open for a stranger. Avoid teaching your children to “just be nice.” Instead, explain to them what it means to be kind and to establish healthy boundaries with that kindness. Teach them how it feels to truly be helpful and to want to do good things for others. In turn, you are teaching them to be genuine, to be truthful and to take care of themselves. You are not teaching them to overextend themselves for the mere purpose of “being nice.” You are teaching them to dig deep inside themselves and determine what they can do to be good people, not superficial or fake. It might feel like a thin line but chances are you can think of a few times in your life you have just been nice and differentiate between the times you truly meant what you were doing—those times you were being kind. How do you practice kindness?